Daniel Eddins Andrews III, M.D. I was born February 1, 1950 in La Jolla, California. I attended public schools in San Diego and graduated from Mission Bay High School in 1968. That same year, I started college at San Diego State University. In 1971 I transferred to Oklahoma State University. That year, I met my future wife, Laurie Ellen Fries, who was also a student at O.S.U. After graduating with a degree in Biology in 1973, I attended medical school at the Autonomous University of Guadalajara. Laurie and I were married in San Diego , California on January 1, 1976. Following graduation from medical school in 1978, I completed an Internship at Mount Sinai in New York City. I then completed a three year residency in Internal Medicine at the University of Oklahoma. After completing the Internal Medicine residency in 1982, we moved to Arizona where I specialized in Cardiovascular Disease. In 1984, we moved to California's beautiful Napa Valley where I founded a private cardiology clinic known as the Heart and Health Center. It was in these early years that I began to record and further develop Andrews family health concepts that later became known as "Andrews Health Culture". In 1989, we started the "Pinewood Karate Club" in the backyard of our home on Pinewood Drive . Laurie and I wanted our four children to learn the ancient self defense art of karate so they would grow up "safe and strong". I founded the Napa Valley School of Massage in 1998 to teach Restorative Massage to black belts in the Pinewood system. In 2006, I authored the first online course on Black Belt Healing to provide martial artists around the world an opportunity to study this fascinating healing art. 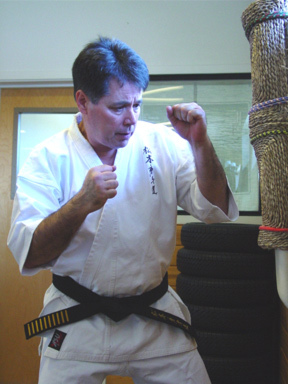 I continue to devote most of my time to practicing medicine, teaching the martial arts and healing arts, and to writing on health, wellness and disease prevention.